Ballistics is the science that deals with the launching, flight, behavior, and effects of projectiles. A projectile can include anything that can be launched by physical or mechanical means, such as a rock, baseball, spear, arrow, bullet, or missile. In this article, we will discuss basic ofballistic trauma, mostly as caused from small arms fire. Knowledge of the trauma caused by bullets is not only useful in extreme survival scenarios or on the battlefield, but also for hunters and those in law enforcement. 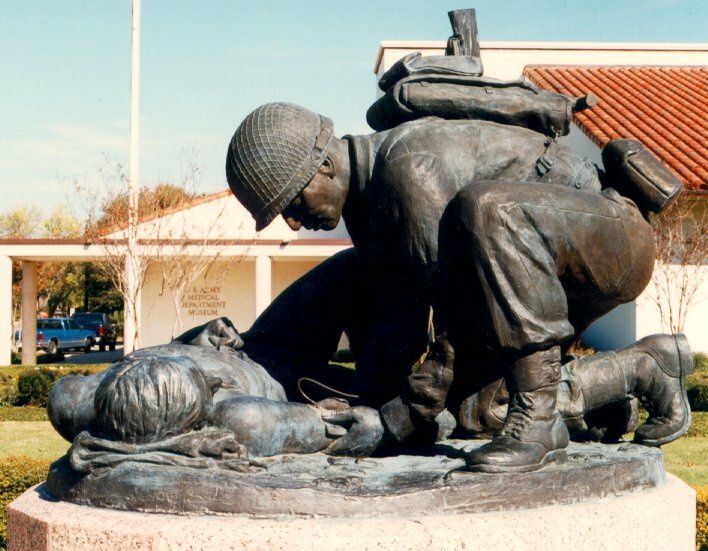 It is also very useful for the medic to understand the type of injury they may be called upon to treat. The “square” of a number is the number multiplied by itself, for example, the square of 2 is 2 x 2, or 4. Because of this, you can see from the formula that the velocity, or speed, of the projectile is more important in the causing of damage than its weight, or mass. • Permanent Cavitation: the path permanently left by the projectile. Essentially, this is the bullet hole and the channel caused by its traverse through the body. • Temporary Cavitation: A wider shock wave which crushes tissues beyond the actual path of the bullet. This is caused by the dissipation of kinetic energy as the missile decelerates when it meets resistance. Although various organs have differing elasticities, the shock wave surpasses the tissue’s ability to absorb the energy involved, causing damage. • Deformation: As the bullet enters the body, it may deform, increasing its diameter and the cavity it causes, often at the expense of penetration depth. Hollow point bullets are an example of projectiles that are meant to deform (“mushroom”) as they travel through the body. • Yaw: Yaw refers to the rotation of the nose of the bullet away from the line of flight. A short, high velocity bullet begins to yaw more severely and turn upon entering tissue. This causes a larger temporary cavitation and more tissue to be violently displaced. • Fragmentation: Bullets may fragment as they travel through the body. This causes multiple cavitation channels, both permanent and temporary. Some bullets are specifically designed to fragment for this very purpose. 3 Comments on "Basics of Ballistic Trauma"
Ref: Temporary cavitation. It is my understanding that the (hydrostatic) shock must exceed the elasticity of the body for damage to occur… Thoughts? AND that the velocity necessary to exceed the elasticity is not normally found in pistol calibers. Yes, you’re correct about the hydrostatic forces involved. Most organs, despite a certain amount of elasticity, cannot withstand the shock wave without disruption. 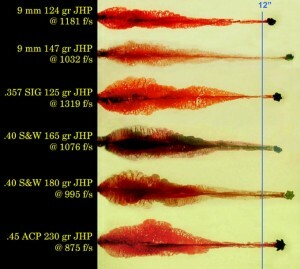 Temporary cavitation is certainly not as extensive in pistol rounds, but exists as you can see in the ballistic gel comparison image early in the article above. They are all handgun rounds, ranging from 9mm to .45. It wound depend on the velocity of the round, I would guess, as it enters the body. Notice the temporary cavity is only in the initial penetration and is negligible later on.